The UN Committee on the Rights of the Child (CRC) has urged Spain to protect a Cameroonian adolescent girl who fled a forced marriage but was declared an adult and expelled from the child protection services. Saida (not her real name) is receiving legal assistance from the Raíces Foundation, which has taken her case before the UN Committee, since the girl risks ending up on the streets. "When she arrived at the Barajas airport a year and a half ago, Saida was identified as a 15-year-old with the possibility to request asylum and was transferred to a migrant reception center," ANSA was told by Lourdes Reyzabal, Raíces Foundation spokesperson. Saida had fled her country, thanks to the help of her godmother, in order to not have to marry an elderly man her parents had chosen for her. "Despite this, like all migrants of Sub-Saharan origins, after three months she was taken before the juvenile prosecutor's office, where a medical examiner and the prosecutor's office assessed her to be an adult despite the fact that an X-ray of her left hand and a panoramic dental arch X-ray showed that she wasn't. This assessment was made simply on the basis of a genital exam and on her mammary gland development," the spokesperson said. After the decree declaring her an adult, Saida was expelled from the juvenile reception center where she had been staying in Madrid. Once in the streets, the adolescent was helped by an NGO working with refugees. However, despite having received lodgings as a refugee, "she had to present a request for international protection as an adult, since without a legal guardian she cannot legally ask for asylum," Reyzabal said. 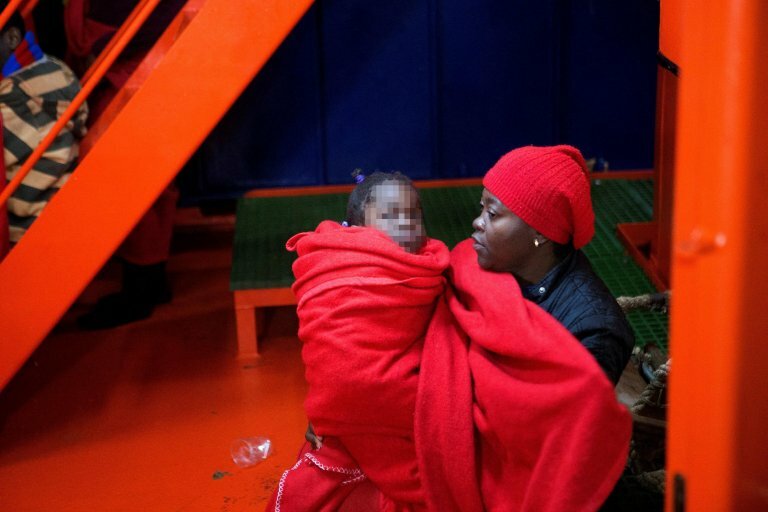 There is also the problem that February 12 was the six-month deadline beyond which Saida cannot stay in the facilities and - like many migrants - must find a way to camp out wherever she can. "The alternative she was given was to end up sleeping under a bridge or in emergency lodgings for adults, with a high risk of irreparable damage to the fragile psychological equilibrium of an already vulnerable adolescent, since she had been abused in her family of origin," Reyzabal added. Her case, brought before a court in 2017, after an initial ruling in an administrative case and a second degree one at the provincial court of Madrid, has for three months been waiting for a ruling by the Constitutional Court. The foundation, which is providing her with legal assistance, has asked as a precaution that she be given permission to temporarily enter the child protection system while waiting for the judicial ruling. The delay in the measure led to the lawyers assisting Saida to make recourse to the UN Committee on the Rights of the Child (CRC) to prevent the girl from ending up in the streets again. Now, in light of the UN committee's recommendation, it has become the responsibility of the Madrid regional government to protect the girl but so far nothing has been done. In noting that Spain is a signatory of the Convention on the Rights of the Child, the foundation spokesperson noted that "it cannot ignore the measures called for by the UN committee". Saida's story is similar to that of Shamira, a Moroccan adolescent who fled poverty and reached the coasts of Cadiz two years ago in a boat. A Spanish court had at that time ordered Madrid to readmit her to a child reception center. The girl is only one of the 11,000 unaccompanied child migrants in the country, according to interior ministry figures, half of whom are currently in unknown locations across the country.